Who new in the early days of social platforms like Friendster and Myspace that their successors would provide the staging grounds for legal battles that test our constitutional limits and place new checks on high profile CEOs and even world leaders? To understand where we are in the evolution of social media and the law, one might need merely to follow the twitter feeds of Elon Musk or Donald Trump. Elon Musk seems to enjoy appearing in court almost as much as he does a Tesla product unveiling. Just when you though his legal snafus had subsided, he managed to find himself back in hot water with a few strokes or swipes of a keyboard and an unsupervised Twitter account. On Thursday April 4, Elon Musk, or his representatives, will be back in court once again as a federal judge in New York hears arguments from the SEC’s contempt-of-court case against the Tesla CEO. This latest legal imbroglio stems from Musk’s tweet in February which stated that Tesla would churn out 500,000 vehicles this year while the company itself maintained in public disclosures that it will make only 400,000. A few hours later, Musk corrected his mistake to align with the company’s numbers, but the damage was already done, according to SEC regulators. The Securities and Exchange Commission charged that Musk violated the terms of their October securities fraud settlement, which mandated prior approval for any social media posts. The settlement resulted from his much-publicized tweet last August in which he incorrectly claimed to have the “funding secured” to take Tesla private at a share price of $420. Consequently, Tesla’s stock price soared, and the SEC began their inquiry. In addition, the settlement stipulated that Musk be removed as chairman of Tesla’s board in addition to $20 million fines for both Tesla and Musk. During this latest scuffle, Tesla initially acknowledged that Musk didn’t get approval for his tweet. Nevertheless, the company has since changed tactics by claiming that Musk didn’t need approval this time. The legal consequences, however, could cause greater headaches for Musk and Tesla. Not only could he be fined again, but he also faces more restrictions on his social media accounts and possible dismissal from his post as CEO. On the other hand, the judge could also toss out the earlier settlement, exposing Musk to further litigation. Clearly, this is another consequential week for Musk, who countered that this latest attempt to restrict his social media activity violated his right to free speech. In another high-profile social media case last week, Twitter revealed that it is considering labeling objectionable content in lieu of simply taking it down. What’s striking is that the impetus for this policy change is the President of the United States. Last week, Twitter’s chief of Legal, Policy, and Trust, Vijaya Gadde, said that they were looking at putting labels on or flagging offensive tweets from the President instead of deleting them because they are in the public interest. At issue are many of the President’s tweets which critics say constitute threats and bullying and, therefore, violate Twitter policy. Like other social networks, Twitter has rules regarding distasteful content; it also has a “newsworthiness clause”which permits offensive tweets if they fall within the public interest. At the very least, the company hopes to eliminate some of the confusion surrounding why some of his tweets remain while similar ones from private citizens are removed. On the other hand, the irony hasn’t escaped Trump’s numerous critics. They remain aghast at the juxtaposition of a first lady who champions an anti-cyber bullying initiative alongside her husband, whose use of Twitter as a bully pulpit has become such a constant that the social network is considering tweaking its policy to deal with it. 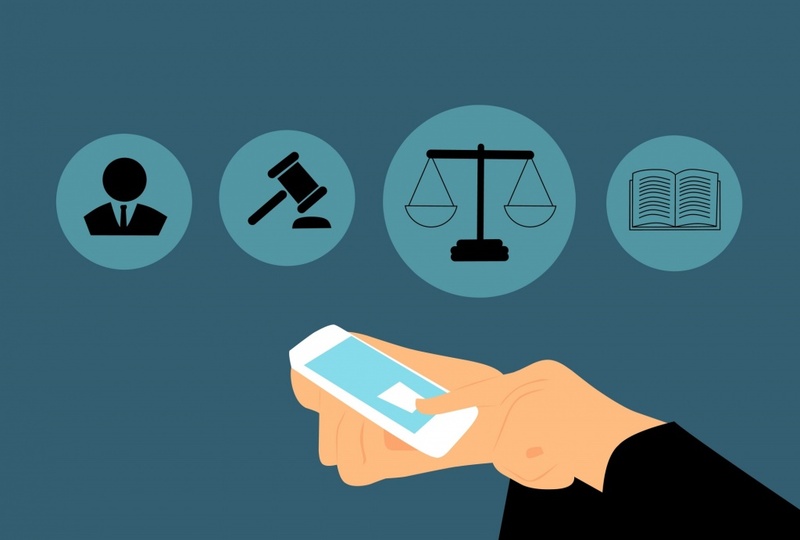 What these two cases bring to the forefront is how social media’s vast reach is extending beyond the social arena and into public policy, government regulations, and corporate governance. While social networks have been pretty vigilant about censoring outrageous or shocking content, the power they have to influence public perception has grown substantially along with their involvement in matters like first amendment rights and how they should be applied to public figures. For instance, corporate legal counsel now has a responsibility to implement social media policies for employees and especially for senior executives in order to reduce liability. While a senior executive’s tweet regarding a company’s financial plans or current output may hardly be considered offensive, it can affect public perception and stock prices. Nevertheless, we have yet to apply the rules consistently when it comes to prominent political figures. While Musk’s tweets must be vetted by a committee to avoid legal problems, Donald Trump faces no such limits. Although Twitter maintains that direct threats are unacceptable regardless of the source, the company views labeling tweets as a comfortable middle ground whereby it can still serve the public interest. In other words, by labeling certain tweets as offensive, Twitter would essentially give the President cover to tweet with abandon as long as the viewing public is aware that what they are about to read is objectionable. While no one can predict with certainty how the events of the past week will shape public policy with respect to social media and vice versa, it is becoming abundantly clear that the intersection of prominent public personas and social networks is affecting both new legislation and some of our oldest and most-cherished constitutional freedoms.